Sealed With A Kiss… mwah! 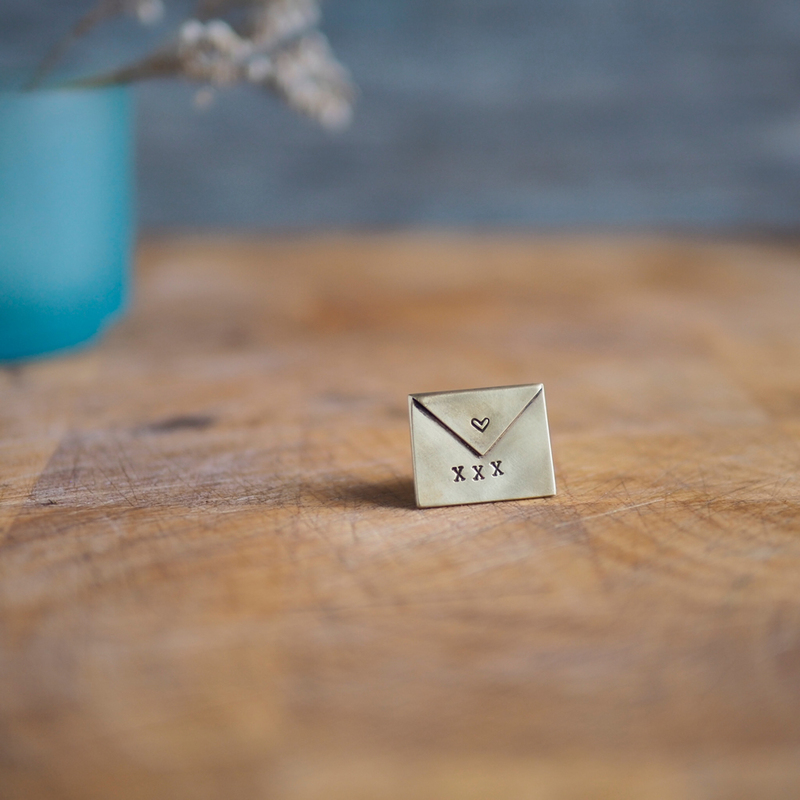 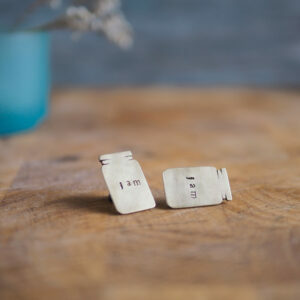 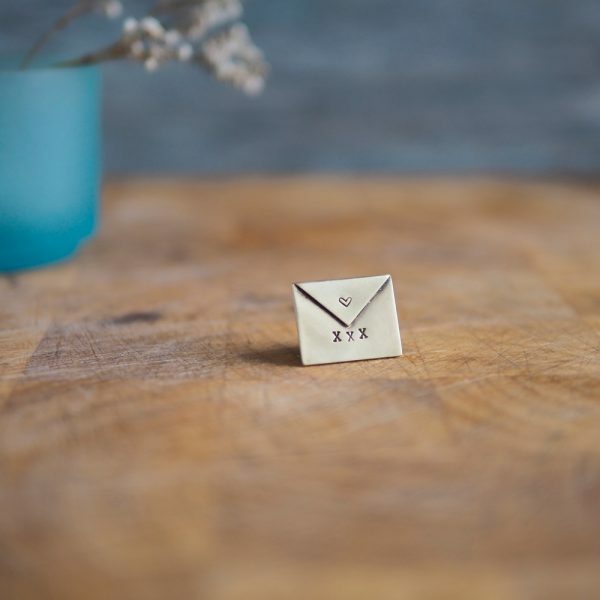 These lovely little brass envelopes are stamped with a heart and three kisses. 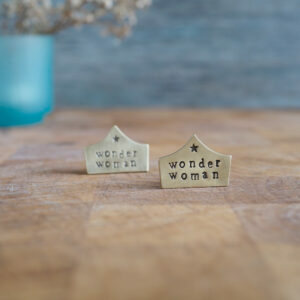 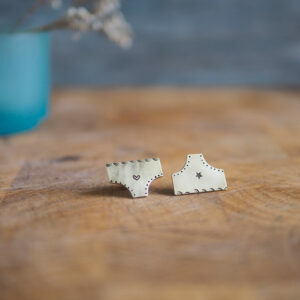 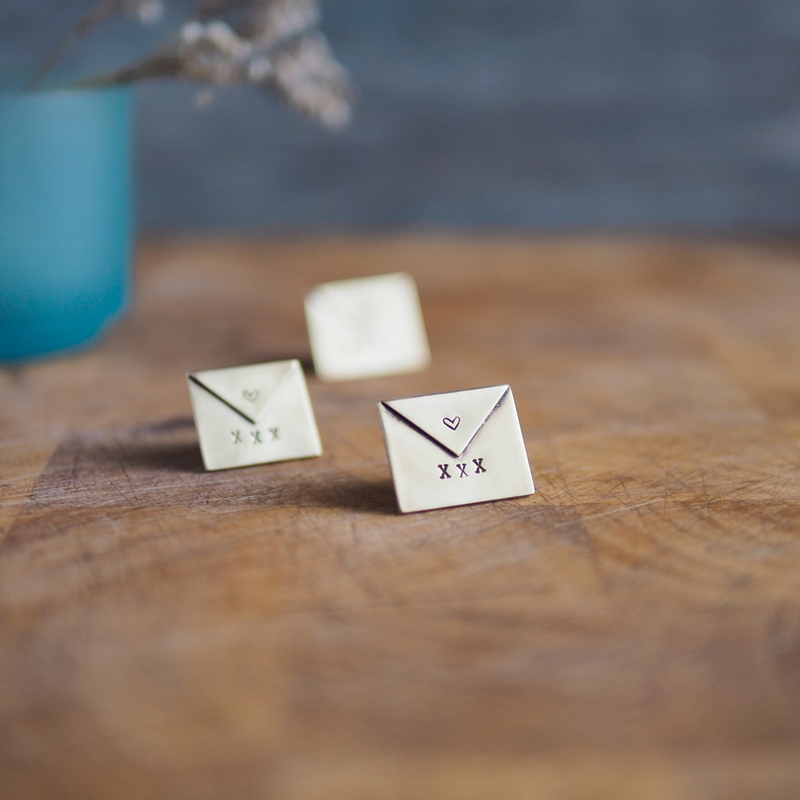 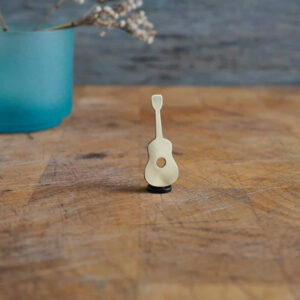 They’re all handcut from recycled brass industry offcuts and finished off with a sturdy brass pin and rubber pin back. Each pin is totally unique. 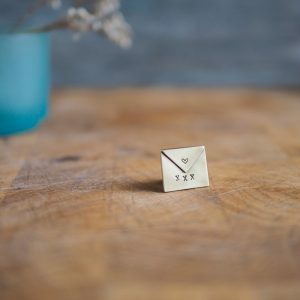 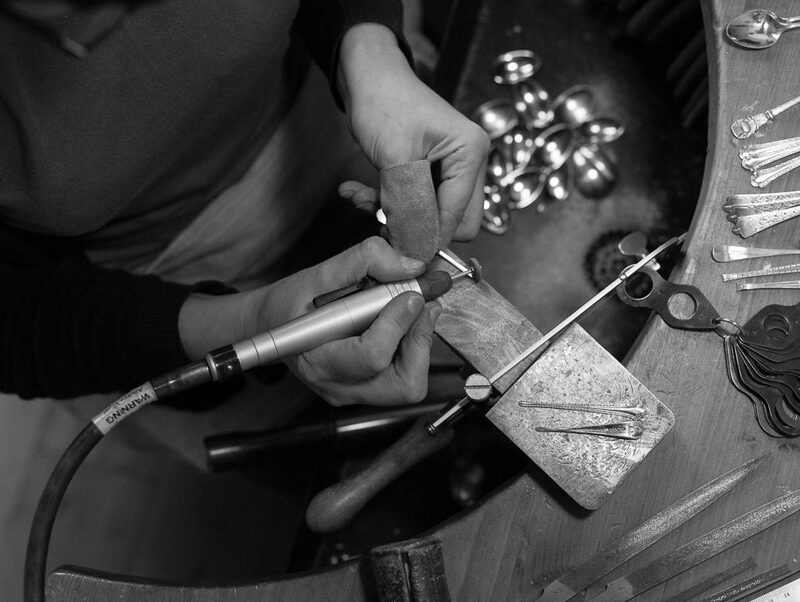 The sheet is thick and weighty and the brass pins measure approximately 2.5cm wide by 2cm high.